PINILI, Ilocos Norte—A pure white abel Iloko [handwoven cloth] measuring seven and a half yards is now being prepared as a shroud and pillow case for the scheduled burial of President Ferdinand E. Marcos at the Libingan ng mga Bayani next month. The shroud will go along with the bronze casket imported from the United States of America. Personally handwoven by national living treasure Magdalena Gamayo said it is an “honor and great privilege to make the former President’s shroud and pillow case. 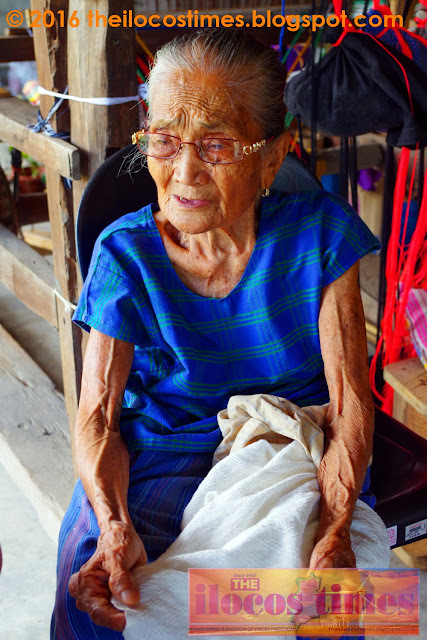 Ms. Gamayo is 93 years old a master abel weaver from Brgy. Lumbaan Bicbica in this town. 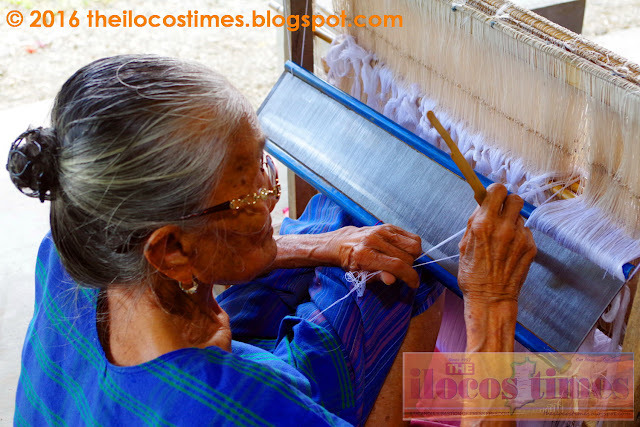 Awarded as a Gawad Manlilikha ng Bayan by then President Benigno Simeon C. Aquino in November 2012, Ms. Gamayo is known for her master weaving skills she learned at the age of 16. Her handwoven products are much sought after by many, including Ilocos Norte Governor Maria Imelda “Imee” R. Marcos, a self-confessed abel lover. Her abel creations have more intrinsic designs that other inabel products. She disclosed it was the governor’s idea to have an abel blanket and pillow case for his father. A touch of abel in every corner of the Marcos birthplace turned museum, including the Marcos mansion and heritage house in Batac City—from blankets, pillow cases, old clothes of Marcos, bed sheets and table runner are evident, showcasing the Marcoses’ love for abel products. In what used to be a lowly abel cloth used by older Ilocanos when they go to the market or to the farm, Marivic Adena, a resident of Laoag City said the use of Abel Iloko as President Marcos’ burial shroud and pillow is great boost to the dying abel industry. Ms. Dragon said Mr. Marcos’ grandmother was also an abel weaver in Sarrat where the young Marcos may have learned some tricks in abel weaving. “His grandmother was a weaver too and we have seen his fascination of the abel cloth when he was still young,” Ms. Dragon recalled about the young Mr. Marcos then. As Mr. Marcos is expected to be brought to Sarrat before he will be flown to Manila, Ms. Dragon said they have already organized along with the relatives to go to Santa Monica church during his scheduled wake to pay their last respects. “We will gonna miss him very much,” Ms. Dragon stressed. As of this posting, the Marcos mausoleum remains closed until Governor Marcos, who is in charge of the preparation reopens it for public viewing again.